Oh, and no announcements about Nintendo’s quality of life platform. Guess you’ll just have to be content with 3DS and Wii U news! At Nintendo’s recent investors meeting, company honcho Satoru Iwata was asked specific details on the upcoming home console that’s codenamed Nintendo NX (for example, the investor wanted to know if the “N” in “NX” meant “Nintendo”). Earlier this spring, when Iwata first announced work had begun on the console, he said the new system wouldn’t be fully revealed until 2016. Sounds like he meant it! 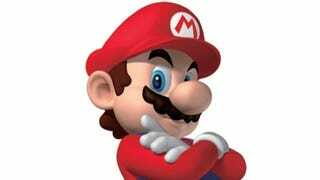 “We do not plan on talking specifics about the the NX until 2016,” Iwata said again during the investors meeting. Explaining why the announcement was made so early, Iwata said he didn’t want people to think the smart device collaboration with DeNA meant that Nintendo was abandoning home gaming systems. Iwata has previously been vague when discussing the Nintendo NX. What To Expect From Nintendo&apos;s New Hardware? A Surprise, Probably. Since this year is 2015 and this year’s E3 gaming expo takes place in, well, 2015, do not expect Nintendo to talk about the NX. Don’t expect announcements about smart device games, either. Here again, Iwata repeated that even if there are expectations for a Nintendo NX announcement at E3, details won’t be revealed until 2016. At least, there aren’t plans for such a presentation.